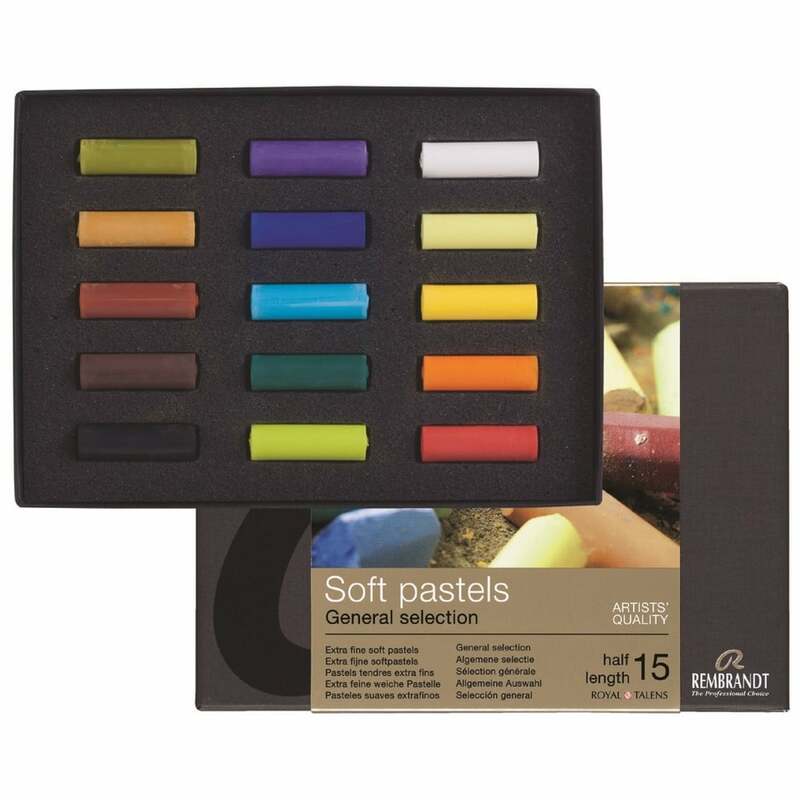 These artist pastels are made with a high concentration of pure pigment, making them highly lightfast, and bound with kaolin clay, the two blended to ensure consistent brilliant colours and an even release. A bit about the brand: Royal Talens specializes in high quality artists paint and accessories that will inspire the artist at any level. These pastels are a good sturdy little pastel. They don't crumble when used with a little bit of pressure to apply it onto the paper, and the pastel pigment holds well as you smudge and smooth it out. Lovely colour range in this set which covers all the basic colour needs.